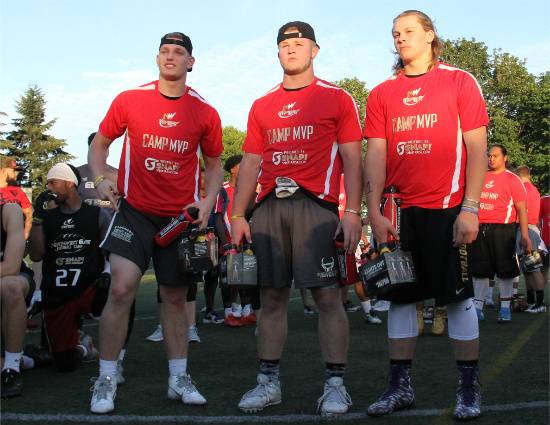 NWPR went and covered the NW Elite Football Camp yesterday and the event went off without a hitch. About 600 athletes showed up and we counted over 80 Coaches in the house with a surprise appearance of the USC Coaching staff. 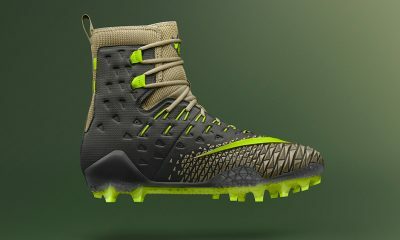 We hit the ground running and did not stop until the lights went out. Lot’s of big time talent and new faces too! 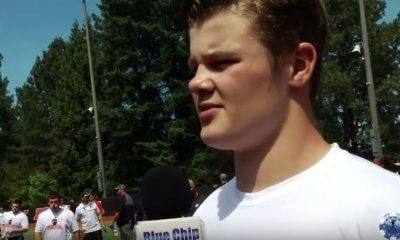 You all can find significant camp coverage including interviews with 20 plus athletes, 600 pictures, and some film too at the Facebook Page for Northwest Prep Report! Give us a Like when you check in there and help us reach 6,000 fans! Here is our photo album- right click and save any pics you want and feel free to use them. Some big names and new names walked off with the MVP’s and Kahuku High School (HI) star RB Kesi Ah-Hoy landed an OSU offer as camp ended as others were asked to attend college camps and looked very close. 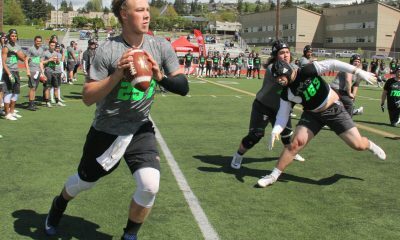 Tucker Rovig – Mountain View HS (ID)- Is this guy the best QB in the NW right now for 2017? Offers and interest indicate yes! Big day for Tucker! Giovanni White – Lincoln (WA) – he is 6’3″ ad 280 lbs and already on the rise to offers- At OL he is on a D1 Multi Offer path! 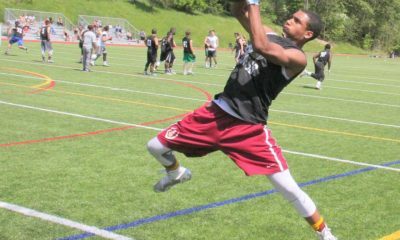 Andrew Boston – Emerald Ridge (WA)- Big time WR talent has offers and did not disappoint on the day. He was turning heads all day!